Integration platform as a service (iPaaS) is a set of automated tools for connecting software applications that are deployed in different environments. iPaaS is often used by large business-to-business (B2B) enterprises that need to integrate on-premises applications and data with cloud applications and data. Typically, an IPaaS platform provides pre-built connectors, business rules, maps and transformations that facilitate the development of integration flows and application programming interface (API) management. Some iPaaS solution providers also offer custom development kits for linking legacy applications with mobile and social applications. Popular additional features include capabilities for managing data quality. IPaaS is often used in B2B scenarios when speedy release time is a key requirement. Although it's possible for IT departments to handle integration themselves, it is often faster and more efficient to use a third-party IPaaS provider such as Workato or Jitterbit. Typically, iPaaS vendors supply the server and data infrastructures, as well as middleware and other software tools for building, testing, deploying and managing software applications in the cloud. Most iPaaS offerings include maps and transformations to speed up the development of integration flows as well as prebuilt connectors and business rules for defining interactions. Often, iPaaS services are shared in a multi-tenant setup. An integrated platform as a service provider is like a contractor who is hired to manage to a kitchen renovation. After the homeowner picks out appliances, flooring and lighting, the onus is on the contractor to get the job done. The same can be said with iPaaS, in that the management and governance of the varied services is in the hands of the vendor. At its best, iPaaS brings an organization's unique needs together into a cloud-based toolset. IPaaS is scalable and has the ability to meet the increased data volume from mobile and other environments. It supports real-time integration with the goal of minimum disruption, providing customers with an enhanced overall experience. An iPaaS can simplify an organization's overall system. By creating a virtual platform, iPaaS connects applications and resources to create a consistent structure. The iPaaS framework creates seamless integration of resources across multiple clouds and between cloud and legacy applications. All platform management can happen in one place, so planning and time to market are minimized. Ideally, iPaaS helps to navigate the growing integration requirements of a business without adding cost to an IT environment. To understand how iPaaS compares to other service models, it is best to understand what each does. Platform as a service (PaaS), refers to one cloud-based toolset that enables developers to govern services. PaaS focuses on one portion of a development project, rather than an entire infrastructure. 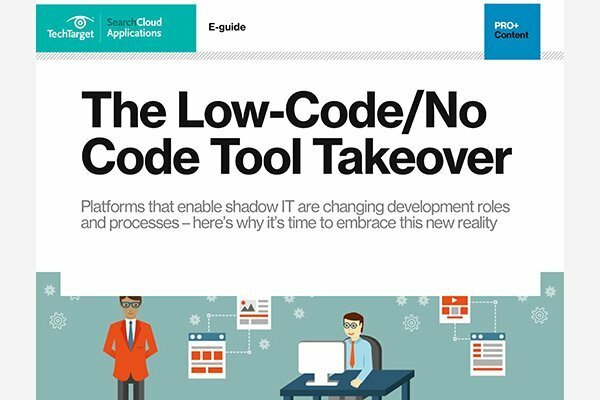 This approach allows developers to change and upgrade operating systems, while still being collaborative and without disrupting an entire system. As noted earlier, integration PaaS combines several platforms, utilizing the same benefits as PaaS at a broader scale. Finally, software as a service (SaaS) uses a third-party provider to host applications over the internet. SaaS eliminates having to use an organization's own data center or computer, saving money, data storage and time. IPaaS tools can simplify hybrid SaaS deployments and work best with existing legacy systems of medium-to-low complexity. IPaaS vendors not only work toward integrating enterprise systems within the cloud, but also between public and private clouds, all while keeping costs in mind. There are two basic schools of vendors for iPaaS. First, there are the older, existing integration companies that have modified their tools to work with cloud services. TIBCO, Informatica and IBM are a few examples of companies that are using their experience and incorporating users' needs to create integration service platforms. The second type of provider centers on companies that were born within the cloud age. Jitterbit, Dell Boomi, SnapLogic and MuleSoft are just some examples of companies that have found success based on and around cloud services. IPaaS is often used in business-to-business (B2B) scenarios where speedy release times are a key requirement. The downside to this type of prepackaged integration product, however, is that it increases the threat of vendor lock-in. Along that thought, there is debate over when to use iPaaS versus ESB (enterprise service bus). Modern ESBs can handle SaaS applications, but also prove useful when integrating legacy, on-premises applications. On the other hand, iPaaS may be cheaper than ESB, offer more scalability and be advantageous for B2B integration outside an organization's own systems. Enterprises can streamline application integration and gain support for a range of integration functions by using Boomi AtomSphere, Dell's iPaaS. How does your enterprise use iPaaS?